Welcome to DeMontrond® Gulf Freeway! Whether you are looking to Finance a New Vehicle, Pre-Owned Vehicle, or just looking to protect the vehicle you currently own with an Extended Warranty, our dedicated Finance Team has a solution for You! With over 30 Lending Sources available to help you get the perfect loan to match your individual needs, our dedicated and resourceful Finance Team is here to help you get on down that road in the Vehicle you have been Dreaming of! Obtaining Vehicle Financing does not have to be difficult! At DeMontrond, we are here to help You! You can fill out our safe and secure Finance Application today, and one of our Dedicated Finance Specialists will call you right away! 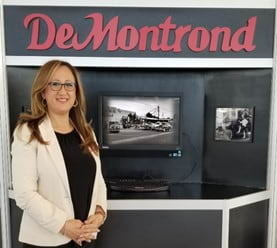 Thank you for choosing DeMontrond®!